WASHINGTON — The U.S. State Department has approved a potential sale of Evolved Seasparrow missiles for Mexico’s Navy, the first time that country has purchased the Raytheon-produced weapon. The potential sale — covering six Evolved Seasparrow tactical missiles and two Evolved Seasparrow telemetry missiles, as well as one MK 56 VLS launcher, for an estimated cost of $41 million — is fairly small, but notable as the first such buy from Mexico. 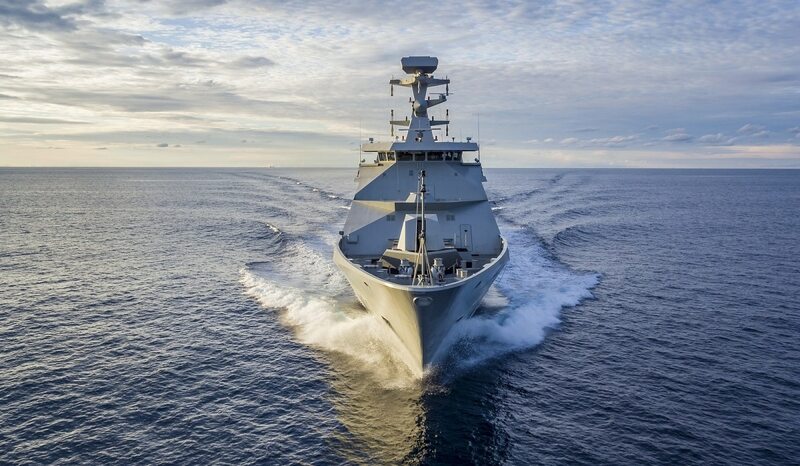 The intention is to equip the weapons on Mexico’s new Sigma 10514-class frigate, per an announcement from the U.S. Defense Security Cooperation Agency. Mexico wants to buy eight MH-60R Seahawk helicopters. “The systems will provide enhanced capabilities in effective defense of critical sea lanes. The proposed sale of these systems and support services will increase the Mexican Navy's maritime partnership potential and align its capabilities with existing regional navies,” the DSCA statement reads. Also included in the potential sale are various support articles. There are no government offsets associated with the sale. As with all DSCA announcements, the sale must pass through the Senate, at which point negotiations can begin; total quantities and dollar totals often change from the original DSCA announcement and final sale.